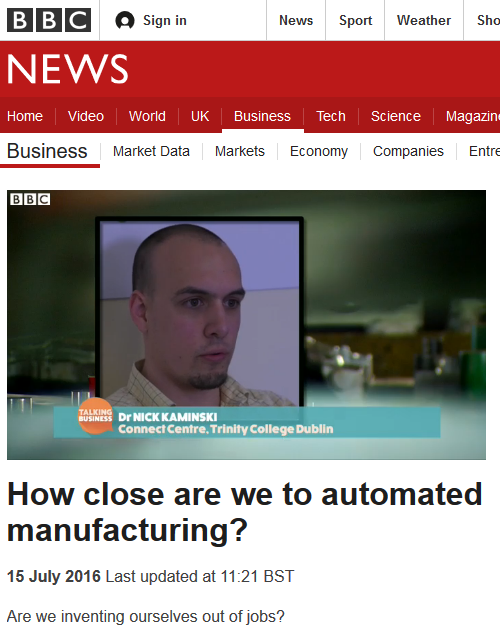 CONNECT Research Fellow Dr Nick Kaminksi appeared on the BBC business show, “Talking Business”, to comment on wireless factories and automated manufacturing. Nick’s research includes distributed collective intelligence and neural networks. Dr Kaminski is a member of Professor Luiz DaSilva‘s research group at Trinity College Dublin.